It’s the end of a long day. You’ve just arrived home from work, completely exhausted. You flip on the TV, collapse on the sofa, and catch the end of your favorite program. You savor this quiet time. Just then, your child begins to whine and carry on. He wants a slice of chocolate cake before dinner. You tell him no. Okay, freeze-frame: This testing moment has just tipped into a bullying moment. You’re being verbally assaulted and degraded by your own child. Typically, parents choose one of three responses in such moments: surrender, punish or negotiate. Not every battle is worth fighting; surrendering and giving your kid what he wants is sometimes a good option—especially if you’re looking to buy yourself a bit of peace. But when testing turns into bullying? Never give in to a child’s demands. To do so would be tantamount to rewarding abusive behavior. That’s a teaching moment that delivers the wrong lesson! Every time you surrender to your child’s bullying, you send this simple message: Bullying works. So the next time she’s frustrated by your restrictions, she will bully to get what she wants: After all, you have taught her that if she pushes hard enough, you’ll surrender. When your kid bullies you, it’s difficult not to become reactive and bully back. Possessing the strength of character to resist mirroring a child’s aggressive behavior is not a skill that rarely comes naturally. As with any form of self-mastery, you must cultivate it. 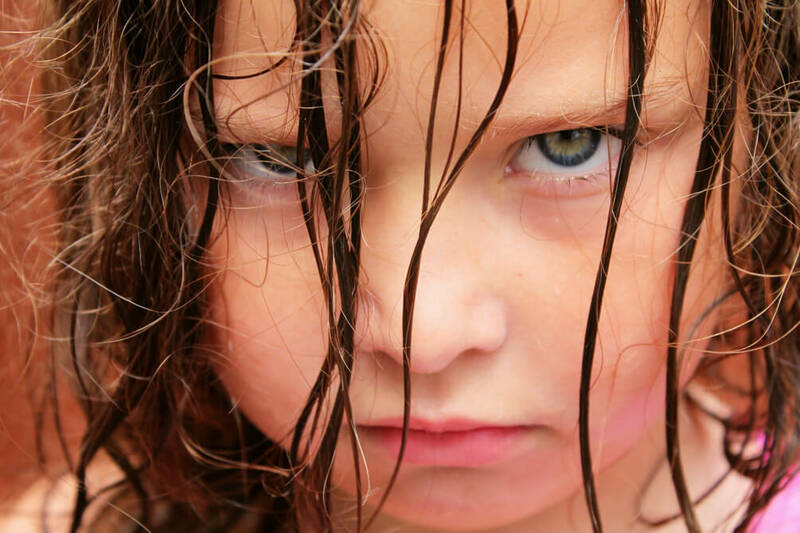 Losing your cool, hollering, and coming down on your child with harsh punishments are forms of counter-bullying that create a culture of bullying in the family. Parents who win battles with their kids by leaning heavily on punishment achieve a bitter victory: There’s a winner and a loser. Someone is happy—and someone isn’t. Become defiant and oppositional, directly or through silent resistance. Turn their frustration inward and fall victim to depression or anxiety. Bully more intensely, escalating conflicts and disrupting the entire family. Okay, your kid is having a meltdown. Being a mindful parent, you take a moment and consider your options. You try to understand his perspective: He waited all day for you (and for his cake). Then, when you finally got home, instead of greeting him, you collapsed on the couch, turned on the TV, and ignored him. Is negotiation the best choice at this moment? What if he makes a counteroffer? Suppose he continues to bully and demands the whole slice? Negotiation is a popular choice in modern parenting. And the notion of finding common ground with your child during conflicts is not a bad idea. You give a little, he gives a little, and everyone is happy. Right? When a child goes from testing their parents to be being a bully, negotiation is off the table. When you negotiate with a bully, you set the stage for ongoing conflicts. Like surrendering, it rewards bullying and trains your child that bullying works. The next time your kid is frustrated by your restrictions, he will return to bullying because bullying leads to negotiation, and negotiation leans to getting what he wants. Your daughter demands to get paid for making her bed. Your son expects a reward for doing his homework. Your kids ask for cash for good grades. Good behavior should never be a bartering point. Negotiating for rewards replaces personal achievement—and kids miss out on self-esteem. 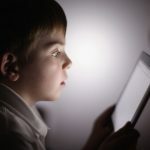 Rather than developing self-reliance and autonomy, they remain immature and tethered to their parents for gratification. You just learned that surrendering, punishing, and negotiating all fall short in the long run. These tactics offer some short-term relief by managing the symptoms of bullying, but don’t address its causes. Before we look at the deeper issues, let’s consider the three most important steps you can take in bullying moments: de-escalate the conflict, validate feelings, and praise strengths. 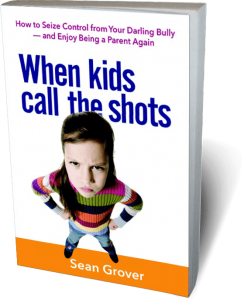 When a child starts to bully, parents too often react impulsively and escalate conflicts. They yell or punish, which increases the tension and worsens the bullying. It’s vital to maintain composure and leadership in such moments. Don’t become reactive or fall back on knee-jerk responses. Stand your ground without drama. If the conflict escalates, hit the pause button: Take a timeout and give everyone a chance to cool off. When kids are in a state of intense frustration, you can’t reason with them. If you try, you’ll only increase their frustration. You and your child will benefit greatly from a quiet moment to gather your thoughts and regain your equilibrium. If you can, leave the room or take a quiet walk. Get some fresh air. It will give you both time to calm down. Find some peace in yourself before you try to make peace with your child. Once things have quieted down, you can mindfully consider what action to take. Kids respond positively when you acknowledge their feelings. They immediately start to calm down. Bullying is an effect; there’s always an underlying cause. 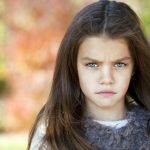 Consider what could be making your child so irritable. Help him speak his mind, then validate his feelings. Encourage more mature communication. Feeling understood by you will defuse his frustration and reframe the moment. Remember: Give kids what they need, not what they want. Learning to communicate effectively while frustrated is more important than anything that your kid is craving in the moment. Surrendering, punishing, or negotiating robs kids of the opportunity to wrestle with their frustration and master it. Reinforcing your kid’s strengths will boost his confidence and make mature communication more rewarding than fighting.